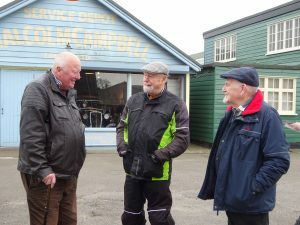 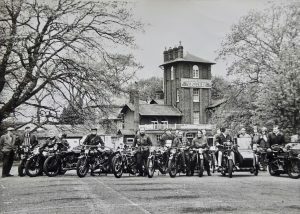 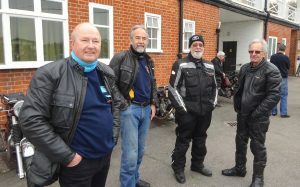 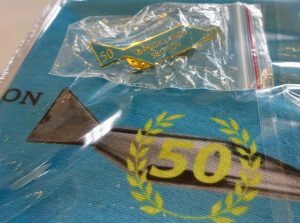 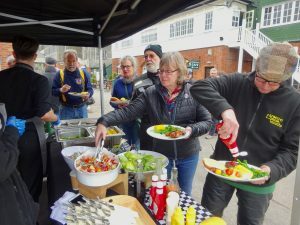 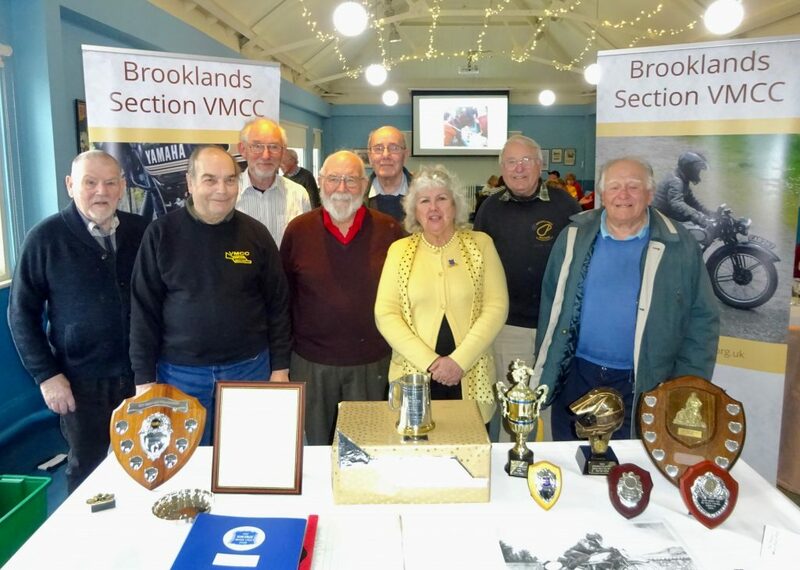 The Section recently celebrated the 50th Anniversary of its first meeting at the 'Hand and Spear' Hotel on March 18th 1969 with a BBQ for members at the Brooklands Club House. 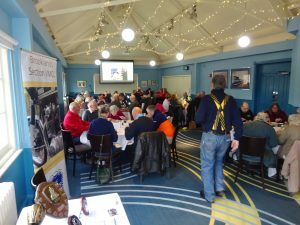 Over 50 members and partners attended, including a group of eight of the original founders. 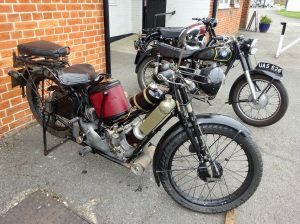 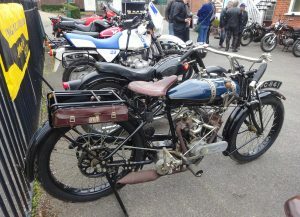 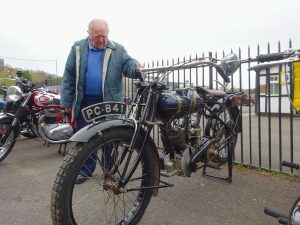 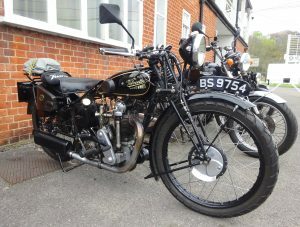 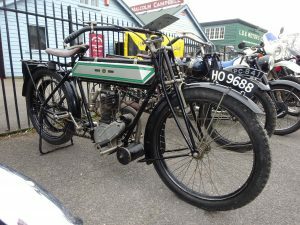 There were some special bikes on show too, including Eddie Webster's very rare 1921 Martynside V-twin which was built just down the road in Woking. 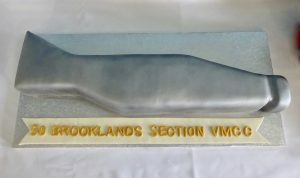 Not only was there a BBQ but also a magnificent cake in the shape of a Brooklands 'can' along with specially commissioned badges and neck tubes for everyone attending. 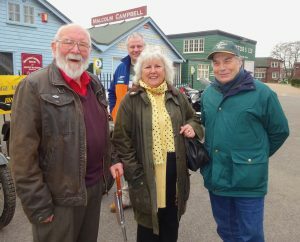 A great day out for everyone who attended, and special thanks to those founding members who travelled a long way to be there.